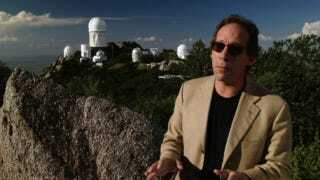 Theoretical physicist Lawrence Krauss – author of The Physics of Star Trek and A Universe from Nothing, and producer of The Unbelievers – participated in one of reddit's Ask Me Anything chats last night. He fielded a slew of fantastic question in the process, offering his thoughts on what it's like to travel with Richard Dawkins, what the average person can do to make the most positive contribution to science literacy, and the best way to deal with pseudoscience. If you're a fan of Krauss, cosmology, or thought-provoking people in general, you'll want to check this one out. I am Lawrence Krauss, AMA!